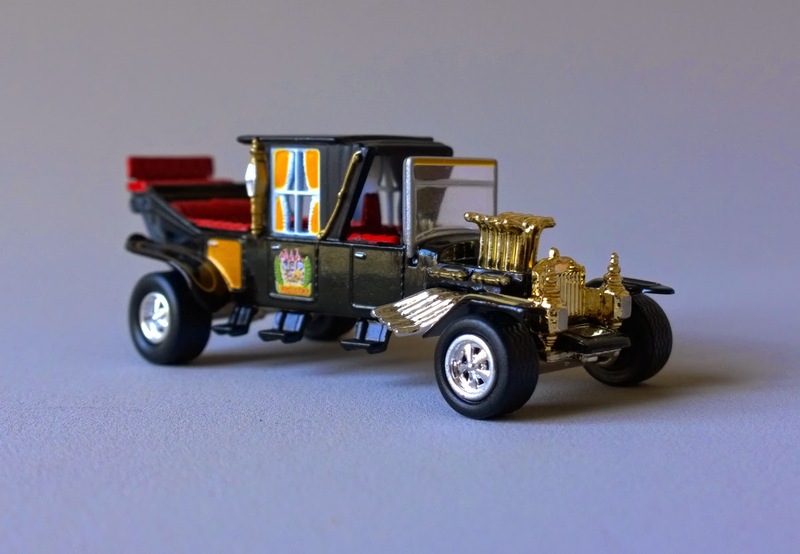 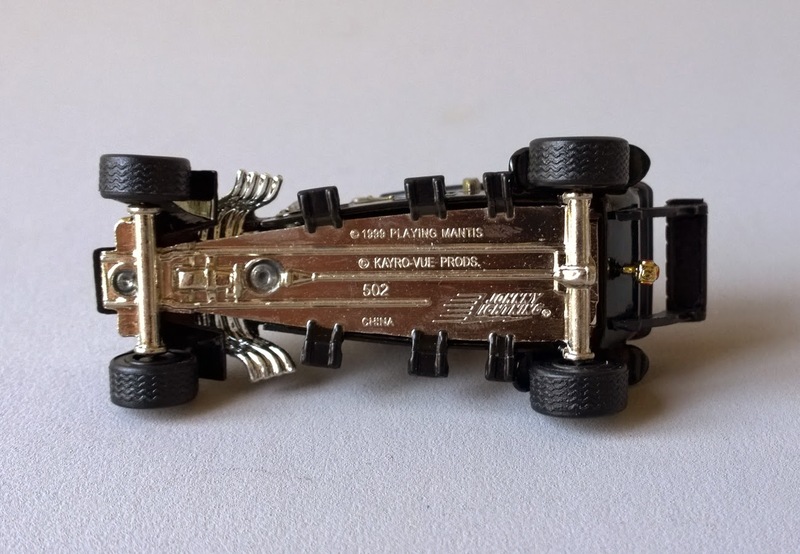 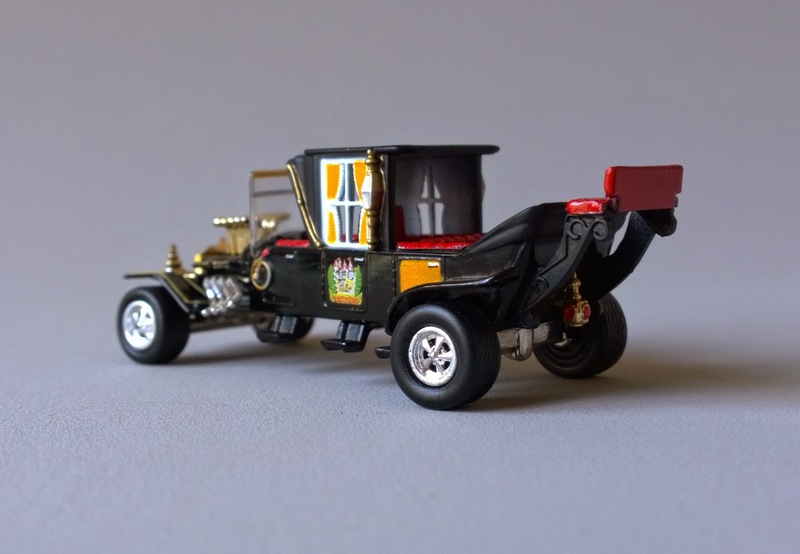 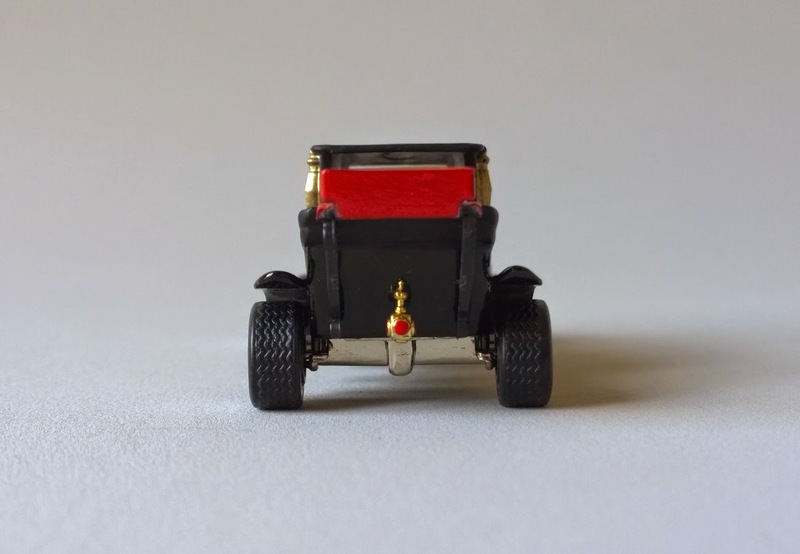 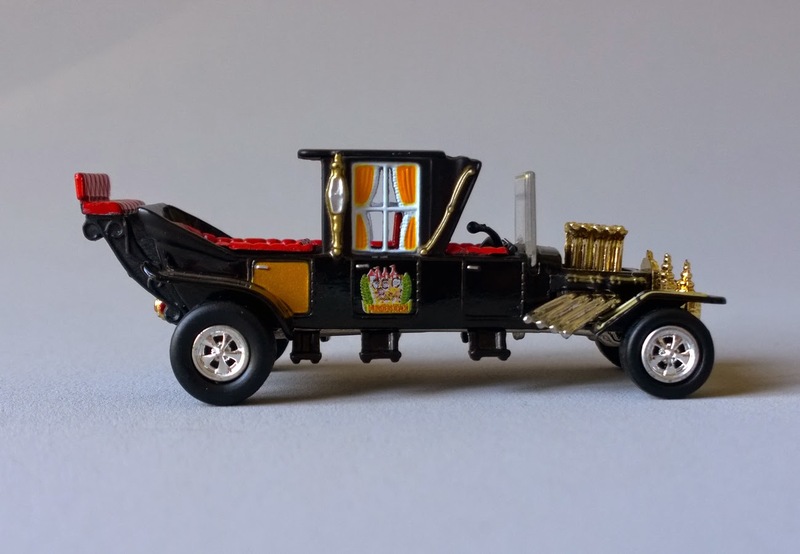 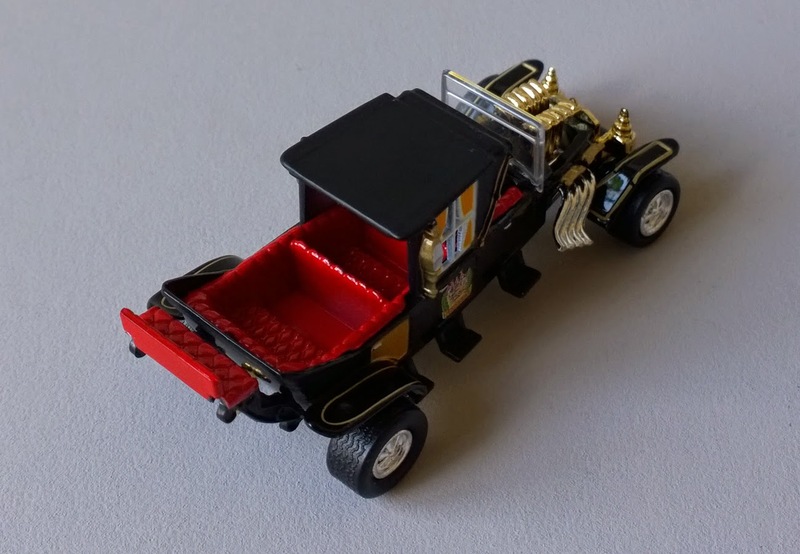 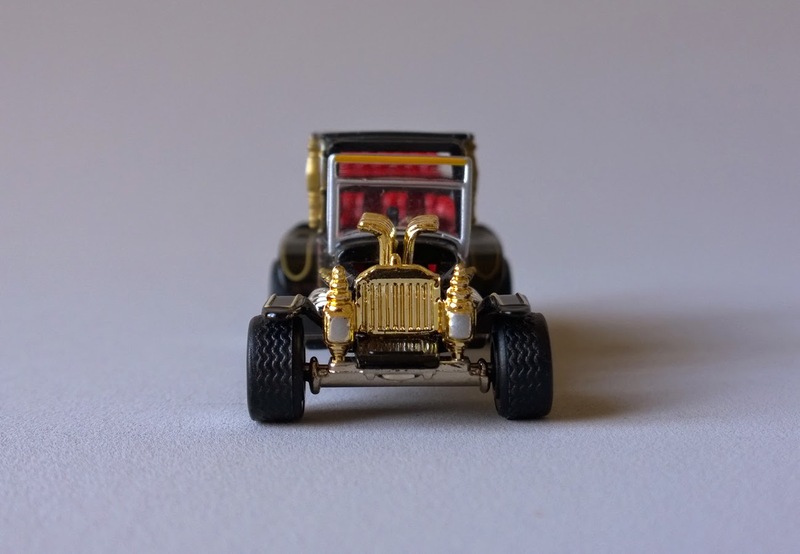 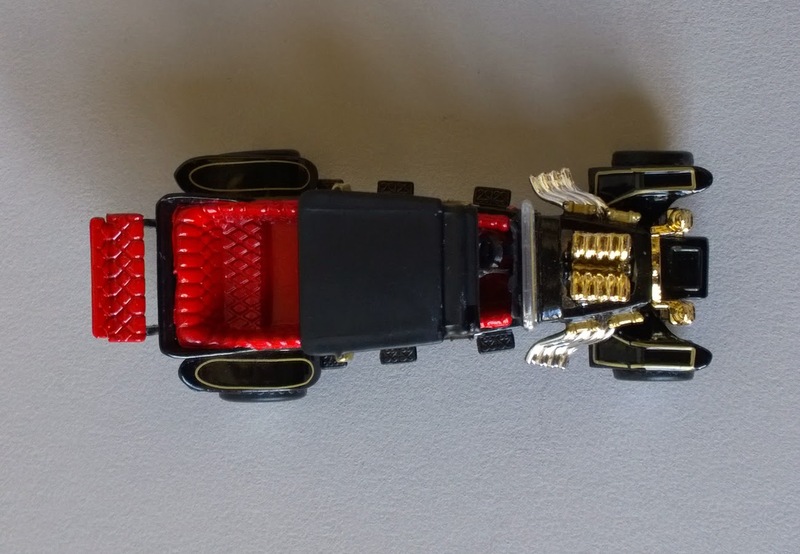 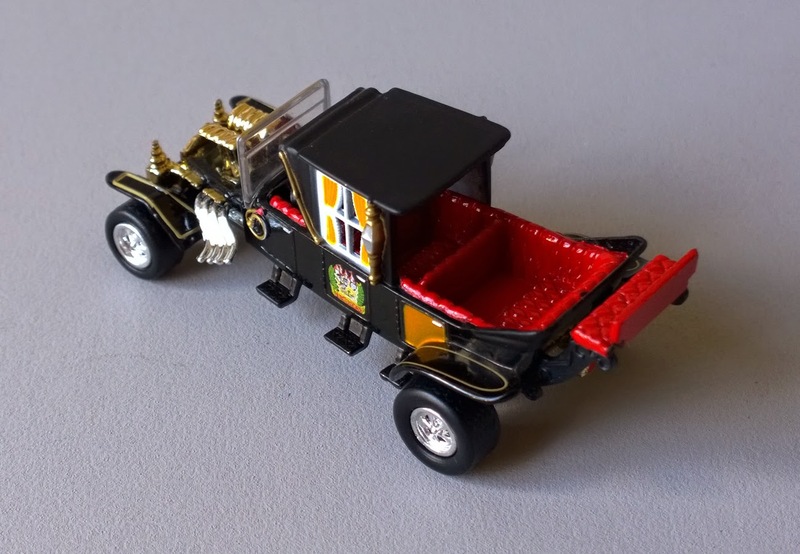 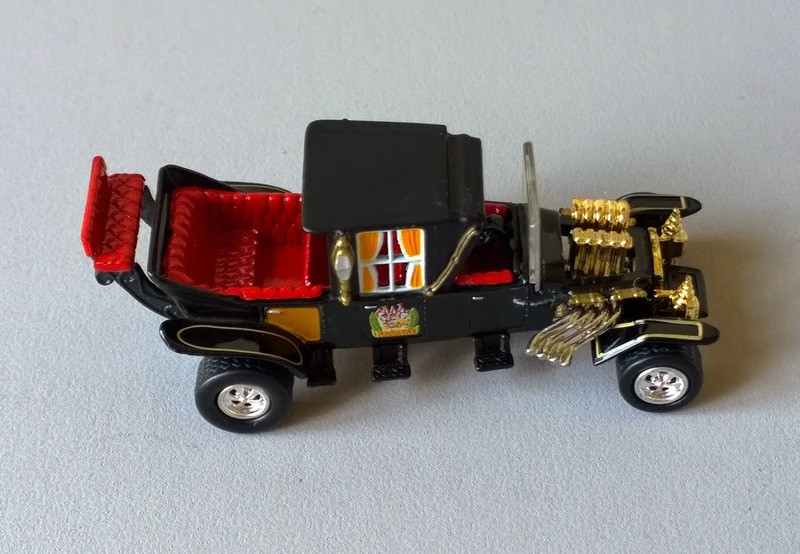 The 1964 Munster Koach by Johnny Lightning. 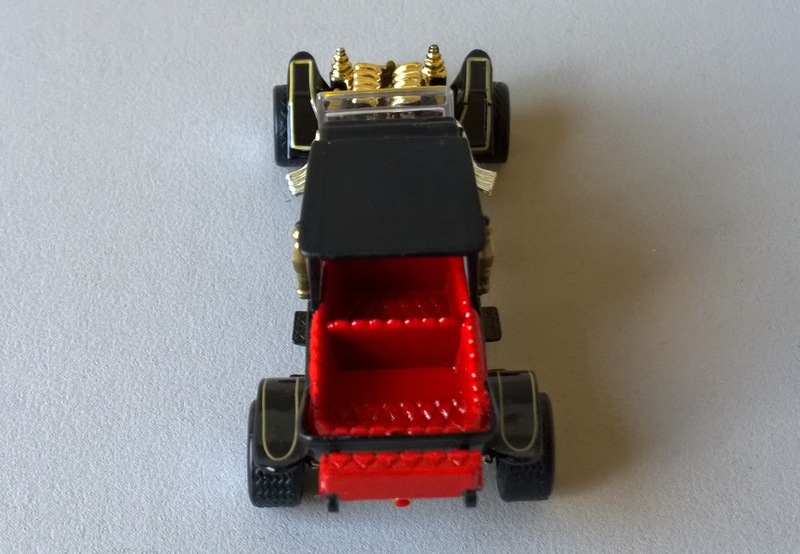 Frightning Lightning Series - Episode 2.
with for characters a family of monsters. 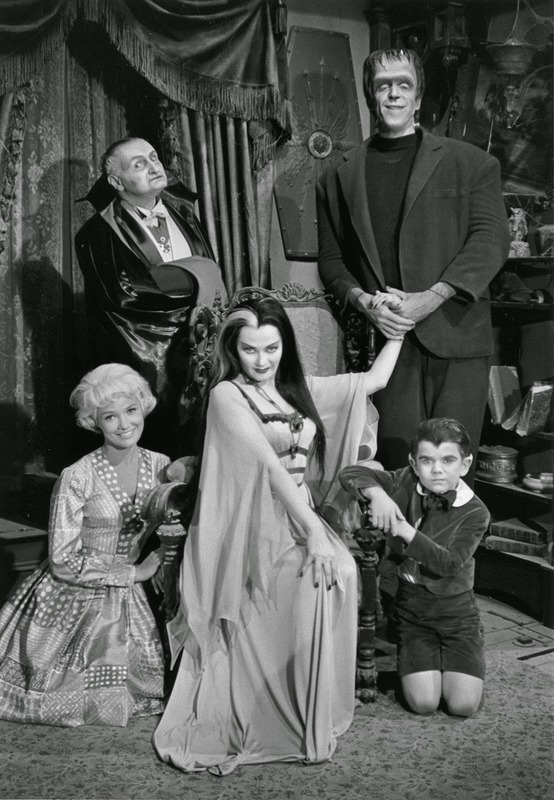 The series was aired from 1964 to 1966. 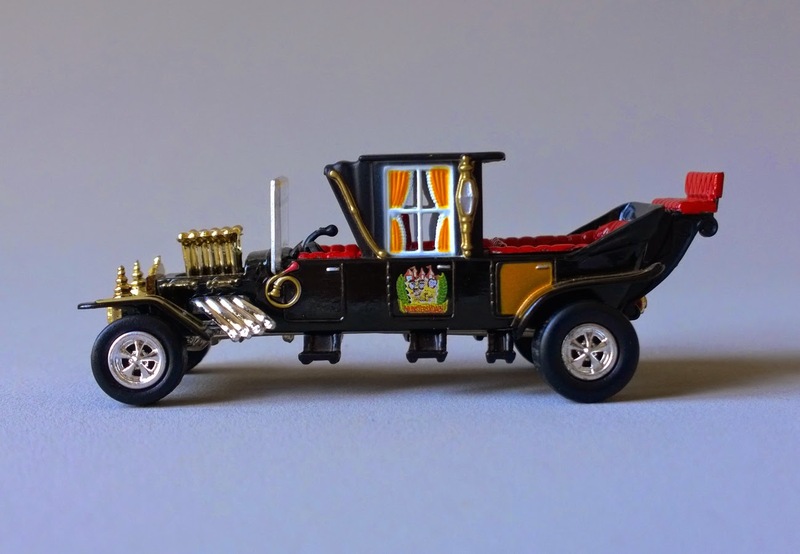 The Koach was built by Barris Kustom Industries. 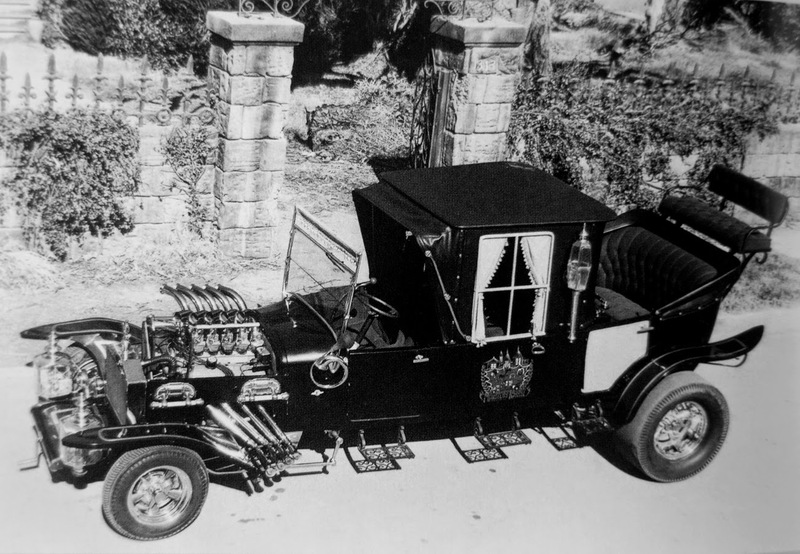 It was made from 3 Ford Model T bodies and is 18 feet long (5,5 meters). 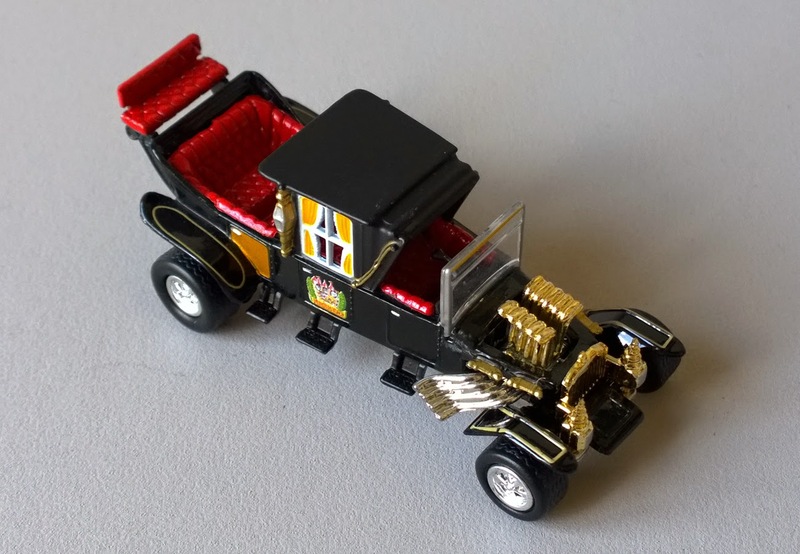 Different version of Johnny Lightning's Koach at JLCollector.net. 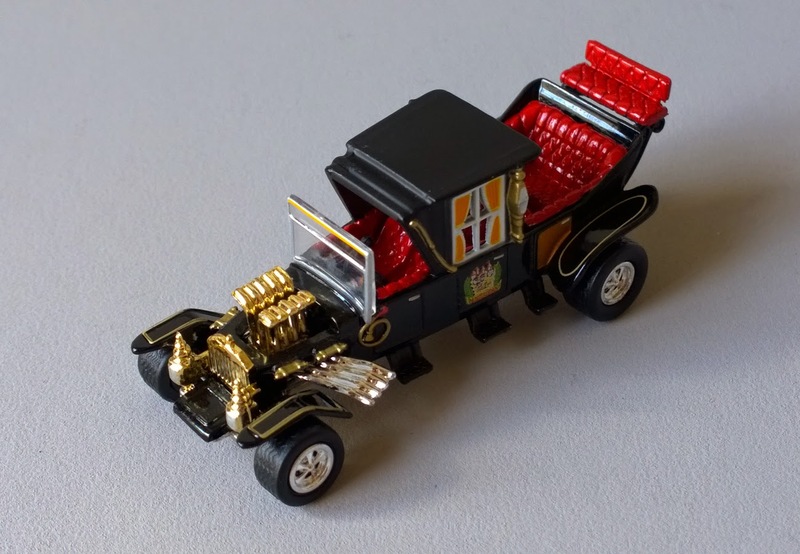 Herman Munster with an AMT's Munster Koach model kit. 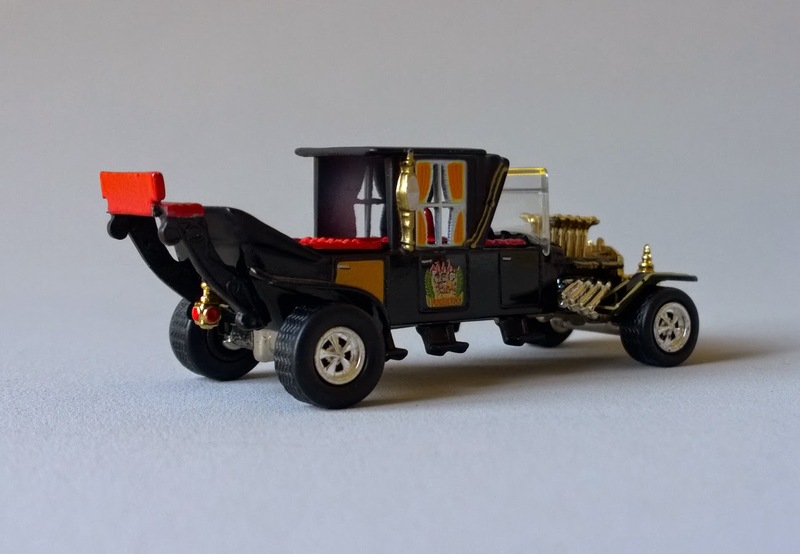 The Wiki Page of the Munster Koach.